A good old Australian Summer favourite is the ever so faithful Paddle-Pop stick! I remember devouring these as a kid during the hot Summer months and even sometimes at the school tuck shop! Trouble is, now that I'm much older I can't exactly eat them the way I used to so I have devised a recipe that contains all natural, organic ingredients and best of all NO ADDED SUGAR! 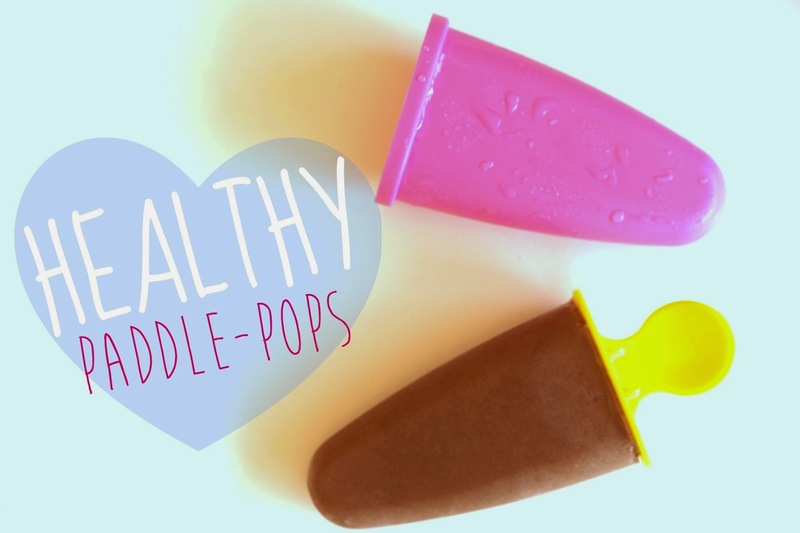 Not only are these Paddle-Pops a healthy alternative for adults but kids will love them too! A perfect after school treat that won't leave them hyper! This recipe is so simple and a trusty favourite that you can whip up time and time again- I know I have! 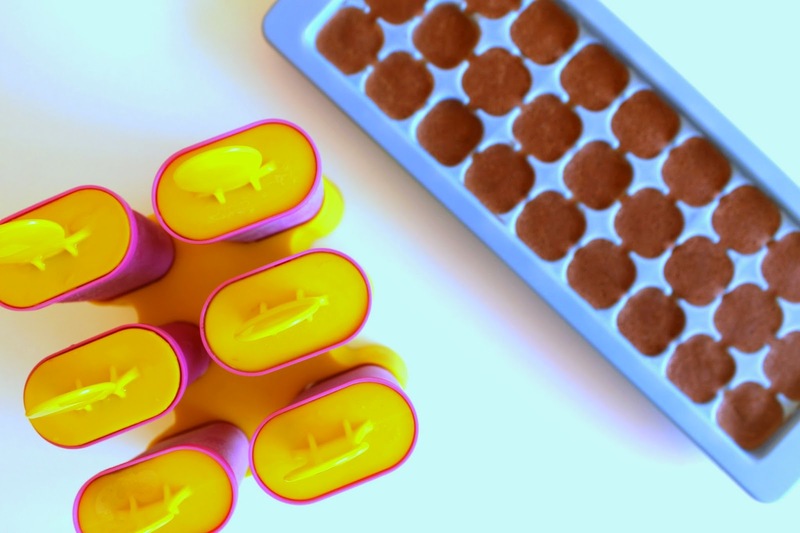 Whack everything into a blender, pour it into the moulds and let them freeze. TA-DA! I told you it was simple! Here's the fun part- this doesn't just make Ice-Pops oh no, you can also drink it from the blender as a smoothie! Have some leftover? Freeze into ice cubes and blend them another day! MAGIC I tell you! I don't know why, but as soon as it nears the end of the working week no one is my house eats bananas so I usually have two or three in the freezer already ready to whip things up at any given moment. Banana is our sugary ingredient here so it's really important that they're ripe otherwise these ice pops won't be sweet! Raw cacao powder is a wonderful superfood that you might not typically find in your local supermarket- best try online or a local health food shop. Raw cacao is made from cold pressing the unroasted cacao beans, keeping the living enzymes in the cacao and removing the fat. This is not the same product as regular baking cocoa powder that you can buy in your supermarket. Raw cacao has wonderful benefits such as protecting your nervous system, lowering insulin resistance and not to mention is full of vitamins and minerals! Hooray for Cacao! You can read up on more benefits of raw cacao powder here which I find really quite interesting. Here's the sitch on Peanut Butter, or any nut butter for that matter. Read the ingredient label. If your label doesn't say '100% Roasted Peanuts' you might just be better off making your own! As for my northern hemisphere babes, bookmark this page for the future or you can still go ahead and make it- there's something I love about a cold treat, even in the Winter!